It’s pretty awesome owning a home business since you can sleep in for as long as you want, work in the comfort of your own home in your p.js, and pretty much do things at your own pace without having someone breathing down your neck every few seconds checking if you’re on schedule. But the thing is, because it’s so laid back and distractions are bound to occur every time you connect to the internet, lack of productivity, focus and clarity are common enemies that won’t have the slightest remorse in crushing your business into oblivion while sucking your bank account dry with all those monthly fees. Most people are under the impression that to be successful, the mentality, attitude and the entrepreneurial skills are things that someone is born with, but nothing could be further from the truth. How would your world change if you were able to influence those around you to do whatever you wanted? How different would your life be if you reached levels of success that you never thought possible just by tweaking your mindset and actions? What’s the Point of Doing One Thing at a Time? Why would I want to do one thing at a time if it’s only going to slow down the progress of building my online empire? I mean, I want my monthly residual income checks now! Surely juggling 5+ tasks at a time is the right thing to do? The power of multitasking to get things done quicker makes a lot of sense… right? Now before you answer that question, access your current situation. Is that what you’re doing right now? Trying to learn 5+ marketing strategies, or jumping around to a new company every few weeks or so hoping to “finally make it” this time? If you’ve been around the network or internet marketing profession for awhile now, you’ve most likely come across lots of ad copy promising instant overnight success, or guaranteed riches if you were to pull out your credit card and join a particular opportunity. Sad to say but most people get suckered into believing this and pull out their credit card with a glimmer of hope in their eyes, believing that they’re finally absolved of all of their financial problems. I’ve been wanting to write about this topic for awhile now because it’s something I’ve gone through, and it’s something thousands, if not millions of other aspiring entrepreneurs are struggling with as well. Overcoming fear is probably one of the biggest, if not THE biggest, hurdle to jump over when it comes to pushing and motivating yourself to become the individual that you want to be. Is Your Excuse Or Fear Holding You Back From Happiness & Success? What’s Your Excuse For Not Taking Action? Everyone knows a few whiners in their lives. Who knows, you could be one yourself and not know about it. We come across people who make excuses all the time. Sometimes its amusing, sometimes its annoying as heck but hey, there’s no escaping it you know? People are just being well…people. Don’t get me wrong it’s not a totally bad thing since sometimes the, “I’d love to hang out but.. my toilet ain’t gonna clean itself”, line can save you from an awkward night out with your secret foe but I’m not talking about these small chump excuses. Are You Feeling The Pressure To Succeed From Your Family & Friends? It’s unfortunate that the MLM industry has become such a taboo topic for people who don’t understand what it’s all about. If you don’t know what I’m talking about then go ask one of your friends whether they want to join your opportunity and you’ll get the picture. You’re more than likely get a response bordering very similar to “Ain’t that a pyramid scheme?”, “Nah that’s a scam man how dumb could you be?”, or “That’s not legal you’re better off getting a real job”. Totally charming right? And no matter whether you agree or disagree with them, there will always be that pressure to succeed whether you’re sticking to your guns and staying in the industry, or working a 9-5 job. It’s saddening to know that nowadays, a person is measured by how much money is in their bank account. It’s a common misconception nowadays that when someone joins a network marketing company, the expected thing to do in order to rise to the top is to talk about their opportunity or products to every living, breathing organism until the prospect caves in just to shut you up. In all honesty I think it’s a bit embarassing pitching products or an opportunity to my family and friends let alone complete strangers. Why? It could be that my personality cringes at the thought of being a walking advertisement annoying the heck out of the people I care about or pitching to people who couldn’t care less but at the beginning, I didn’t know better. In fact most people don’t. I’m sure some of you who are reading this have gone to the company event trainings and listened to the successful people on stage saying why their company is the best in the industry. They go on about how easy it was to get to where they are because they “worked hard”, were “consistent” and “did everything their upline told them to do”… Ok I’ll give it to em you DO need to work hard and be consistent, but when they say they”did everything their upline did” well, I think that’s where most of us start scratching our heads. I’ve experienced this first hand. I’ve gone to a training event and I was all hyped up, excited about learning all the tips and tricks that would earn me that lovely piece of freedom the company so promised me. However as I sat and listened, I couldn’t help but resign myself to doom as I listened to the methods that they were describing. Having been in the industry for around 2 months when I listened in to that event training, I could honestly tell myself that I wouldn’t be raking in the riches or traveling the world in style as soon as I would hope. I have been doing what they were telling me to for the past 2 months. I didn’t have a lot of money to invest at the time too so I could only stick to the very low cost or free methods. Pretty much what I did was conduct surveys with total strangers who didn’t give a damn about what I had to offer, hand out flyers (sometimes all day too in the sun or rain), fake shop in order to pitch to the salespeople (very awkward..), or in other words beg disinterested people into buying my products and joining my company. It really hampered my self confidence if truth be told. I was out there busting myself all day, everyday only to get nowhere. In all honesty I really liked my company. The people were great, I liked the products and even used them myself but in regards to the business side of things, I wasn’t really convinced that I could get very far with what I was doing. Why? Because I think what leads a person to success in this industry is the marketing system that they use. No matter how great your company products are, or how awesome the comp. plan is, if people aren’t able to duplicate the marketing system, people will leave in search of something better. It’s that simple. 1/How do I find leads who are actually interested in what I have to offer? 2/A duplicatable marketing system for me to pass on to my downline. The important thing I should point out here is I was, and still am, a willing student of success. I think it’s important to learn as much as you can by reading the relevant books and materials, practicing success principles and pushing yourself to try new things (I was scared at the idea of writing in a blog because I had never done it before). The thing most companies don’t emphasize is how to market properly. That’s where MLSP comes in to save the day. It will teach you step by step how to market properly and to the right audience. 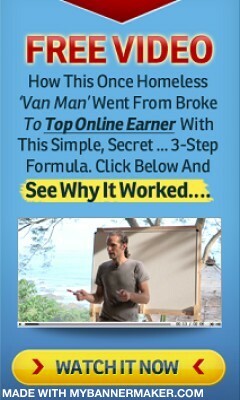 The training videos are very detailed and will take you by the hand showing you how to set up your own marketing funnel. It’s a real life saver and just being a member pumps me up to do what I can to earn 5 figures income a month because all their methods are do able! Here you guys can just check it out for yourself if you don’t believe me. If you are really serious about taking your business to the next level, I would strongly recommend using MLSP for maximum benefits. Everybody has hit a rough patch in their lives where at times you just feel like throwing in the towel because no matter how hard you try, things just keep crumbling around you. Lost your job? Just got out of a long term relationship? Family dishing out crap every day? Financial troubles going through the roof? Having trouble finding a decent place to stay? Friends annoying the heck out of you? These are just some of the many problems people face, myself included. However I believe that everyone is responsible for how they react to these circumstances, which alone can either make or break you. That’s why I think it is important to have a goal to dedicate yourself to to avoid that feeling of emptiness when things just aren’t going your way. Now this could be set for any aspect of your life, financial, relationship wise, family etc etc. When you set yourself a goal, you will learn to discipline and focus your energies on the important stuff. Following through and completing what you set out to do can really give you a sense of accomplishment and will boost your confidence. The reason why I say this is because I know what it’s like to wonder around aimlessly when things in life go wrong. You feel stuck with no way out, helpless and it can give your confidence a real kick in the gut. But when you do something about it, that’s what makes a world of difference. When people trap themselves in a wall of negativity the only thing that they do, or think that they can do, is talk about how hard things are, how back their luck is, the world is against them, why me, blah blah blah… But little do they know that if they just changed their way of thinking from a negative sass bag to a self proclaimed winner, it could make a world of difference from allowing themselves to live a life full of drama and stress or that of luxury and freedom. To make the water less muddy, I’ll talk about the mentality that people need to adopt to succeed in business since you need the correct mentality first in order to set yourself productive goals, which will take you to the level of success that you are aiming for. Business can be very scary for people who are just starting out. Some people, if not all, bombard their head full of questions, some relevant, some counter-productive. Where do I start? What do I do? Will I succeed? Who will actually want to buy products from me or want to partner up with me? Am I doing the right thing? Whether it’s in a physical shop or online, if you’ve never ventured out into the world of business before, it can be quite nerve wracking. After all, some people invest a lot or all of their savings into their business with the hopes of making a killing. However the possibility of a bad business venture, or going bankrupt, are what make people hesitate when the time comes for them to take the necessary actions. Understandable since everyone is looking for a high return on investment but when you involve yourself in business, any business, there will always be risks involved. Now if you compare that to someone who has complete faith in their own capabilities, the potential of growth for their business can be limitless. Why? Because their mindset allows them to realize that if they do not get the results this time around, there will be other opportunities in the future. If an investment turns out badly, they will learn a lesson from it, move forward and try something different. So really what’s needed to keep going is the right mentality and attitude. Self belief that you already have everything you need to succeed inside of you will prompt you to discover the right actions to undergo to grow yourself and your business. It also helps to use the right tools as well. That’s why I use Empower Network because when I first started out, I was extremely lost on how to get my business started. As a result of my research on what I needed to use and do to become successful, Empower Network was mentioned everywhere. 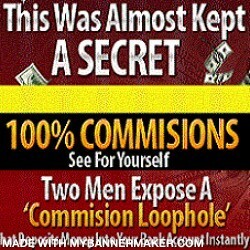 It’s an amazing system that will allow anyone who is interested in producing a 5 figure income per month to achieve it. For people just starting out with their own home business, or are trying their hand at network marketing online for the first time, from personal experience I can say that it can be a very daunting task. It’s a no brainer that the Internet is the future of marketing, however for people just starting out, they are, with good reason, often confused about what they need to do and how to start. Understandable since the Internet is such a vast domain with endless possibilities of advertising. Not only that but you’re competing against thousands of business builders such as yourself. Scary. However I’m going to keep it simple for you guys here so I’ll be outlining the 3 essential things needed to get yourselves of to a good start. Now this 3 step formula can be customized to maximize results by adding your own activities but if you’re just starting out, learn how to master these first so you get a general understanding of how this industry works. Without these two things, you will not be getting very far in your business as you will sooner than later burn yourself out from all your efforts while getting nowhere. Alright so now that you know what is needed, let’s get right into what you need to do to kick start your business. I’ll start off by talking about the most important tool in your online business: the marketing funnel. If you do not have one, don’t expect your business to survive for very long as it is the bread and butter of your business and is what brings in your customers. Now what a marketing funnel consists of is a website with a capture page where people can opt in their contact details, followed by a few pages that will inform your prospects what you are offering and providing them value or a solution to their problem, and an auto responder. So the process goes like this: a prospect will land on your capture page, and if they like what they see they will opt in their details. This will then take them to another page that will inform them more about what the topic of the capture page was about. Now once they have opted in, they will automatically be stored in your database of prospects and your auto responder will start sending them pre-made emails on a regular basis. So what the auto responder is doing is it is handling your business on auto pilot 24/7. It doesn’t matter how many contacts you have in your list, as long as they are a part of that system they are all stored in your database and emails will be sent out to them by your auto responder. This is a very smart way to do business as the system will sort out the serious leads (they will be the ones contacting you), from the tire kickers. Not only that, your leads will know about you so they are more open to hearing from you than cold prospects, they will be able to purchase products from you that will help fund your advertising, and you are building your very own prospecting list, a must have asset for online business! There a vast majority of marketing funnels available on the Internet but the one that I would highly recommend is MLSP (My Lead System Pro). You can check out the link below and discover why it is working for network marketers around the globe. MLSP will provide you with everything you need to know in order to generate leads for your primary opportunity and to build your online business. Not only that but it comes with a wide assortment of lead capture pages to attract leads into your business and top quality training systems that will teach you everything need to know to market your online business successfully. I think it’s safe to say that most people would consider this the hardest part in building their business. With so many methods to choose from, what most people do is they try to do everything all at once in the beginning and burn themselves out. So if you’re starting out, stick with one or two methods max and implement marketing strategies within them consistently! Of course the top marketers choose multiple methods but that’s only because they know how to market effectively in one method before moving onto the next one. There are millions of people out there marketing their business so what makes your one stand out? MLSP will cover and train you on how to effectively market your business so you can drive quality leads into your opportunity. Now for the most nerve wracking part of the success formula: lead contacting. Most people are terrified of contacting their leads because that feeling of calling someone you hardly even know and pitching them your product or opportunity will in most cases be answered with a cold hard no. No one likes rejection. It’s a fact. But the genius of the marketing funnel lies in that when you contact your leads, or if they contact you, they will already be warmed up to you. After all, when you provide value to your leads through your capture page opt ins, and are receiving emails from you on a regular basis, they would be open to communicating with you and asking about what you do. A simplified version of what you need to do to kick start your business and walk along the path to success. Drive traffic to your site, get an automated system to convert leads into buyers for you, and then contact your prospects. Sounds pretty great doesn’t it? Click on the link below to get more info on My Lead System Pro to help build and market your online business. Feel free to share your thoughts on this post or share it to people who you think will benefit from the info provided. Change. Funny how that one word can be so intimidating isn’t it? I think it’s a given that most people would agree that being exposed to something completely foreign would induce some people to break a sweat or step on a few toes. So what’s the alternative? Staying in your circle of comfort of course. Comfort means safe, and safe means no stress. And who likes to be stressed needlessly right? However in my personal opinion, I think that pushing yourself to do things that you normally wouldn’t do is very important in growing as a person, spiritually, emotionally and financially. To give you a more specific example I’ll talk about having self confidence in yourself. Self confidence is so important in personal growth that I don’t think it’s possible without it. Why? Because people will view you the way you see yourself. If you think that you are not on par someone, that’s what they will think too. If you detract yourself from people, they won’t bother to involve themselves with you. It might sound harsh but no one likes to be around self defeating people because they don’t want to be influenced with their negative thinking. Negativity doesn’t give you the mental space to allow yourself the chance to pull yourself towards success. So changing your mindset from “I am not good enough” to “I can, and I will do this” will enable your mind to generate the energy, skills and power to finding solutions to your problems and the paths to success. When you believe that you are capable of doing something, you will not only motivate yourself to take the necessary actions, you will develop the “how to” as well. It will feel awkward at first, but the more you focus on thinking positive, you will soon discover that things will start to fall into place for you. As you push yourself to accomplish and try new things, you will see that you are bigger than you thought you were. I think it takes practice, determination and the courage to try new things in order to grow. The more energy and effort you put into bettering yourself, the more valuable and experienced you will be. And the more value you place on yourself, the more valuable others will come to see you. So if you are someone who wants to achieve success, believe and you will. If you don’t, then you won’t. It’s frighteningly simple, yet so overlooked by many. Don’t let yourself be one of those people and go get whatever it is that you want out of your life. You only live once so make it count.